This week, Your News to Know rounds up the latest stories involving gold and the overall economy. Stories include: How a recession could hit the U.S. by 2020, gold fights back as the dollar braces to reverse, and why are Russia and Turkey such gold bugs? What would a potential recession in 2020 mean for gold? 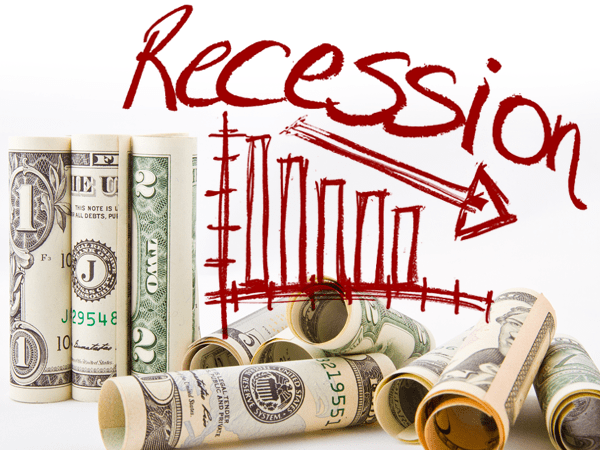 According to the latest research from Capital Economics, the U.S. is headed for a recession on the back of the Federal Reserve’s zealous hiking policy. Kitco reports that the firm’s researchers said this year might still see impressive GDP growth, with an average rate of 2.9%. Just as the Fed jumps to the opportunity to hike rates four times this year, the markets will begin to suffer the effects of prolonged monetary tightening. With growth expected to slow to 1.3% by 2020, the Fed will have little choice but to reverse course and loosen its monetary policy once again. It will be too late, however, as the U.S. will already find itself dealing with a full-blown recession, said the Capital Economics team. Gold investors should have little reason to worry about the economic downturn, as the metal will produce an expectedly positive reaction to tough market conditions. With NAFTA’s difficulties coming to the forefront and key exporting countries remaining at odds regarding tariffs, the metal could move to an average of $1,350 an ounce in 2019. By 2020, Capital Economics analysts say gold should reach $1,400 in the midst of a market meltdown and a possible global trade war. Despite the recent strength in the dollar, some analysts see gold emerging in the near term and testing multi-year highs by the end of 2018. In an interview with Bloomberg, currency strategist Luc Luyet said that gold will rise to $1,320 by the end of the year. The metal could be helped along its path, said the analyst, by an escalation of trade conflicts between the U.S. and China or several other countries. A return to the dollar’s downwards spiral would also boost the metal, as some fear that the greenback might be overbought and stretched. Luyet thinks the dollar peaked in January 2017 and will soon return to another period of decline. Further supporting the metal will be strong jewelry demand from India and China, as both countries are preparing for an extensive festival season. Other market watchers agree with Luyet and see good things in gold’s near future. Suki Cooper, a precious metals analyst at Standard Chartered Plc, said that gold could test the $1,400 level before the end of the year. If true, it would be the highest climb for bullion in five years. Bart Melek, global head of commodity strategy at TD Securities, added that the metal will start eyeing new gains in the fourth quarter of 2018. Why are Russia and Turkey such gold bugs? In the first three months of 2018, central banks around the world added an additional 116.5 tons of gold to their holdings. The quarterly acquisitions, led by Russia, Kazakhstan and Turkey, marked a 42% year-on-year increase and the most gold central banks have bought in the period since 2014. And while some are ready to interpret these numbers as the preservation of a trend in gold-favoring countries, Bloomberg’s Leonid Bershidsky thinks that a troubling pattern could be emerging. When Russia slashed its Treasury holdings by more than 50% and Turkey did the same with a 38% cut of its own, the move was seen as a way for the countries’ leaders to lessen their dependence on the West. Bershidsky believes that the decisions coincide with an overall distaste for U.S. debt in a time when Federal spending is at its peak. World Gold Council data shows that the total share of U.S. Treasuries went down to 25.4% from 28.1% over the last decade, while the share of central bank-owned bullion remained the same. While not an enormous decline, the loss does hint at other countries following suit and reducing their exposure to U.S. debt. As various nations forgo Treasuries in favor of safer or more lucrative holdings, Bershidsky notes that the Fed could soon be forced to rethink its current budget model.